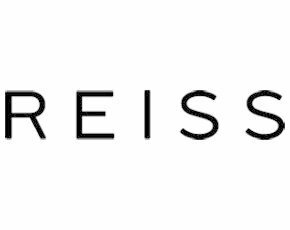 Clothing retailer Reiss chose Capture+ for its online check-out address finder. The company saw an increase in sales and delivery rates, as well as a reduction in customer service calls immediately following its implementation. Reiss is a British clothing store with 60 stores in the UK, as well as a further six in the US and various franchises in the Middle East, Hong Kong, Moscow and the Netherlands. The store began trading online in 2008 and in the last two years has seen its e-commerce site grow with 15% of the business now taking place online, up 80% from last year. Two years ago, Reiss took control of its online team and brought it in-house. Since then it has grown to 25 people dedicated to e-commerce including developers, customer service, studio, content and marketing. Prior to the rehaul, the company’s e-commerce site did not feature an address look up function, customers would have to manually type out the whole of their address when purchasing a product at check-out. This was something Reiss wanted to address and the company chose Postcode Anywhere’s Capture+ solution to do so. Postcode Anywhere is a software company, which has provided data as a service (DaaS) for the past 10 years, including its online address auto-fill service, as well as route planning, customer profiling and bank account validation. Capture+ is the company’s upgrade to its international address finder and has improved accuracy on data sets and search functionalities. Instead of the traditional method of searching for your address by typing in your postcode at the point of checkout, the updated Capture+ allows users to type in the first line of their address and the software will provide addresses matching that first line to choose from. Similar to predictive typing in a search engine, the application will predict what you are searching for and change accordingly as you continue to type. The store’s three objectives from implementing the technology were to improve its delivery rates, reduce basket abandonment and reduce the number of customer service calls. As well as hitting these results, Capture+ also allowed Reiss to continue development on its e-commerce sites on mobile and tablet devices. By November, in the busiest shopping period of the year, the company extended the software to all of its customers, as well as on its back-end system for callcentre staff. Loughlin said that the solution paid for itself in the first five weeks of implementation, which may have been helped by the busy Christmas period. However, he said that it continuous to pay for itself. The programmers then used the Capture+ setup wizard to map form fields to Postcode Anywhere’s fields in order to correctly auto-populate the text boxes after writing in the first line of an address. There were a few tweaks during the integration process, mainly around issues with older browsers such as Internet Explorer 7, but Reiss also heavily tested the county database to ensure it returned the same country that the store had on file. It doesn't seem to actually "validate" the address but merely to suggest addresses where the street/city/state actually exist. I tried typing in my address and added an additional number to it (a house number that I know doesn't exist) and the order was accepted without any warnings. It seems that if address suggestions are given, that some sort of validation should be performed to make sure an address is actually real and shippable.